2176 Edwards Road Waterloo, NY. | MLS# R1141754 | Largest Real Estate Sales and Property Management Company in The Finger Lakes and WNY. Country living! 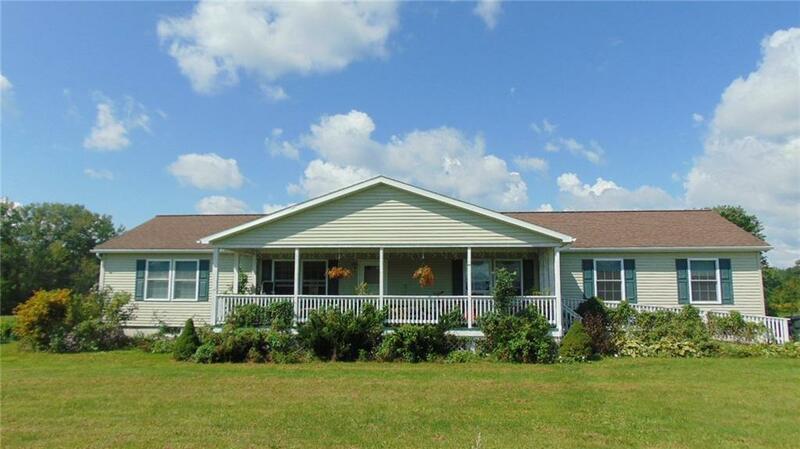 Nestled on nearly 2 acres, you will find this meticulously cared for ranch style home. This home features a desirable open design floorplan, great for entertaining family and friends. Bright living room is open to the dining room which leads to a backyard paradise with a deck, which has plenty of room to add a pool & a huge yard for recreation of all kinds. The updated kitchen also opens to the formal dining room and a second sitting room. There's a master suite with a garden tub, walk in closet, and an additional sitting room. There are 3 additional bedrooms and a full bath. Plenty of space to add a rec room in the basement. Enjoy the wildlife while relaxing on one of the decks. Central air to keep you cool on the hot summer days. Minutes from village, yet no village tax. Don't miss your opportunity to see this home!